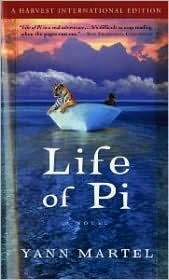 Did you read Life of Pi by Yann Martel? There was a while there when it seemed every book group was reading and discussing this very unusual book about a young boy, stranded on a raft on the ocean with a hyena, an orangutan, a wounded zebra and a 450-pound Bengal tiger named Richard Parker. And no, this is not an allegory for Noah’s Ark, although religion (Christian, Jewish and Hindu) does figure into it. 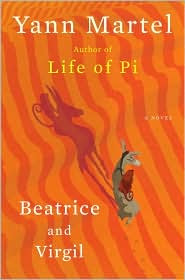 Well, Martel has written another book, Beatrice and Virgil, and as one reviewer said “it is shocking and moving and will…launch a thousand questions.” Much as Life of Pi is and was!